SkyNest Luxury service apartments in Hyderabad features uniquely designed spacious suites with Fully Furnished or Single Room/Double Sharing/Triple sharing bedroom furnished apartments in Hyderabad. Skynest provides luxury furnished apartments corporate travelers dream of. 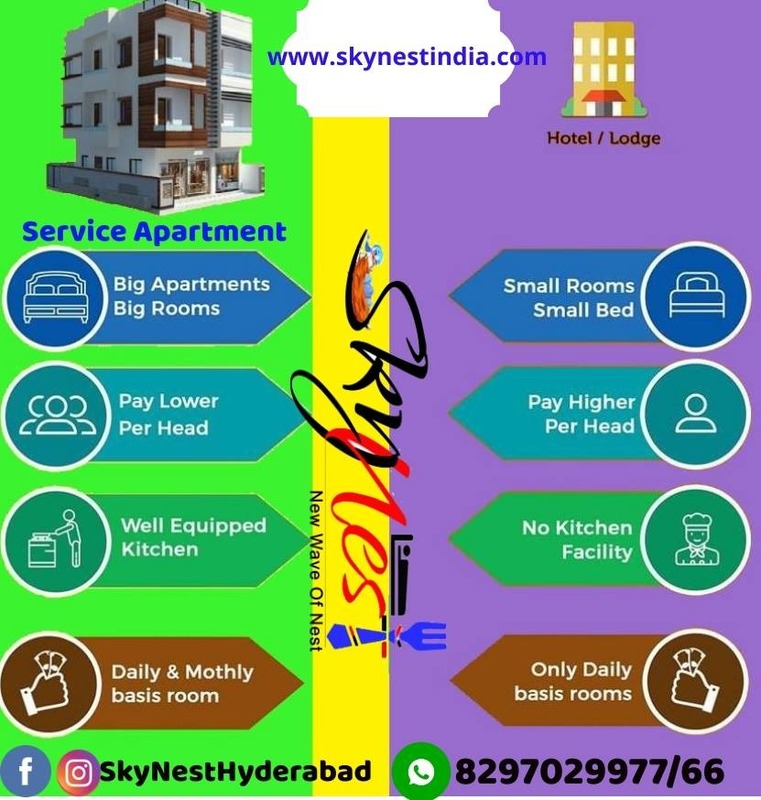 Skynest Service Apartments you are on Holiday, Vacation, Family Trip, relocation, NRI, Expats, conferences, trade fairs, Business Meetings, on training or graduate programme or simply working, serviced apartments in Gachibowli Hyderabad. SkyNest Service Apartments in Gachibowli, Hyderabad. Skynest Service Apartments provides facilities like Free Parking Space, Power Backup, Air Conditioning, LED TV, Laundry Service, Geyser, 24/7 Housekeeping, 24Water Card Payment, Wi-fi and Food.